As one of the world’s most renowned experts on doing business in Africa, Leyland Hazlewood is a highly sought-after resource in business and professional circles—Fortune 500s, small business owners, non-profit, and community leaders from all sectors—looking to expand opportunity into Africa. For 4 decades, he has managed consultancy assignments to corporations and governments in 56 countries of which 45 have been in Africa. Leyland Hazlewood helps companies increase revenues by engaging in emerging opportunities in African countries. He guides corporate market entry strategies, brand positioning, foreign partner selection, and cross-border distribution into African markets. For over 40 years, he has managed and implemented development projects and market entry in 45 African countries; from Algeria in the North to Cape Town, South Africa in the Southern tip of the continent, and in English- and French-speaking countries from the Atlantic to the Indian Ocean. 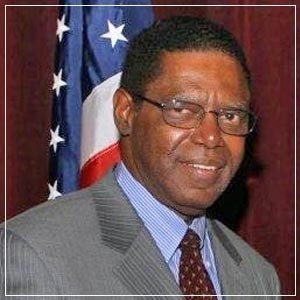 He was a member of the first United States Overseas Private Investment Corporation (OPIC) mission to Africa in search of investment and trade opportunities for American businesses. As Senior Advisor to the Rwanda Development Board, he assisted in identifying and promoting manufacturing opportunities to attract foreign investors. Hazlewood helped to establish the $100-million Southern African Enterprise Development Fund to promote business expansion, organized the first International Franchise Opportunity Conference in Africa, structured the cross-border investment involving Nike, and advised other Fortune 500 companies on African market entry. He served as a diplomat in South Africa and is the author of the Amazon Best Seller, “The Ultimate Guide to Doing Business in Africa: Nuts and Bolts of Succeeding in Business”. Leyland Hazlewood’s rich Africa experience in providing consulting, marketing research, and strategy development to companies in industries, including financial services, airlines, tourism, communications, engineering, health, beverages, chemicals, services, and other industries, can help organizations overcome challenges and achieve amazing results.